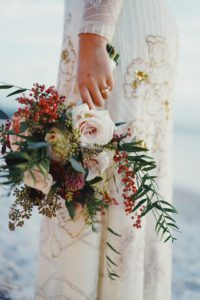 The bridal bouquet toss has a long history behind it – but these days, some brides simply choose to not incorporate this particular tradition in their wedding. True, this is not an absolute must-have – but it sure is a fun addition to pretty much any kind of wedding. Have you decided to take this tradition and incorporate it in your Big Day? If yes, you are definitely looking for the very best songs to play on the background – because what is a fun moment if it’s not accompanied by the right music? Following, we have gathered 4 songs that are just perfect for the bridal bouquet toss – so read on and find out more if you are looking for inspiration. •	Diana Ross & The Supremes, You Can’t Hurry Love. The message behind this song is so romantic and so well-suited for this particular wedding moment that, at times, it might even feel that it was created specifically for bouquet tosses. No, you can’t hurry love – but whoever catches the bouquet will be the next one tossing it! •	Motley Crue, Girls, Girls, Girls. Looking for something unconventional to rock your bridal bouquet toss? This tune has it all: the harshness, the fun, the energy – everything you love about rock music. Play it if you want this special moment to be infused with who you are the kind of music you like most. •	Beyonce, Formation. “Put a Ring on It” is very, very popular at weddings, especially for bridesmaid dances and bouquet tosses. If you want to avoid something that’s on its way of becoming cliché, but still love Queen Bey and want to show this off on your wedding day, “Formation” is just the perfect alternative. Powerful and filled with feminism, this tune will make all the ladies in the room feel ultra-special. •	Kelis, Milkshake. A bit cheeky, but definitely fun, this song will send you powerful high-school vibes if you’re a Millennial. Play it if you want to add humor and energy to your bridal bouquet toss – the girls will love it! Looking for the most talented wedding DJ in the Metro Detroit area? Contact Memory Maker DJs and allow us to be the ones who entertain you and your guests. Contact us and allow us to be the ones who bring true FUN into the biggest and brightest day of your life! This entry was posted in Uncategorized and tagged #bouquettossongs, #weddingbouquettoss, #weddingsongs. Bookmark the permalink.